Type: Multi-Level Marketing (MLM) Company. Skin & Body Care Products. Price: Starter Kit Costs $99 with some product samples. Most products are quite expensive compared to other similar products. The company concentrates on high quality rather than low price. Best for: People who love skin & body care and have lots of extra money available to spend. Their business opportunity is the best for those who are great at selling and recruiting. Summary: Seacret is a multi-level marketing company that sells health & wellness products. They have a unique twist in their products that helps them to beat the competition. However, the products are a bit expensive so you really need to know how to sell & recruit in order to succeed. Is Seacret Recommended? Depends... More on this further! Seacret is a direct selling company from the United States founded by Israeli brothers. They have +60 different products in many different personal health & wellness categories. The company has +40,000 independent agents worldwide. Less than 3% of the members make any significant money. If you want to increase your chances of success of success dramatically, read my Ultimate Make Money Online Guide Here. Seacret is an upscale skincare company that creates and sells creams, cleansers, facial masks, hair care products and makeup all infused with ingredients from the Dead Sea. Based in Arizona, Seacret was formed in 2005 by Israeli brothers Izhak, Ben Shabat and Moty Ben Shabat. They manufacture all of their products in a large plant located in Israel. Izhak was the first to move to the United States from Israel in 2000, originally to save money and attend medical school. He purchased an ice cream truck and not long after that, his brother left Israel to join him. The brothers then began selling toys out of mall kiosks in their hometown of Phoenix, Arizona. 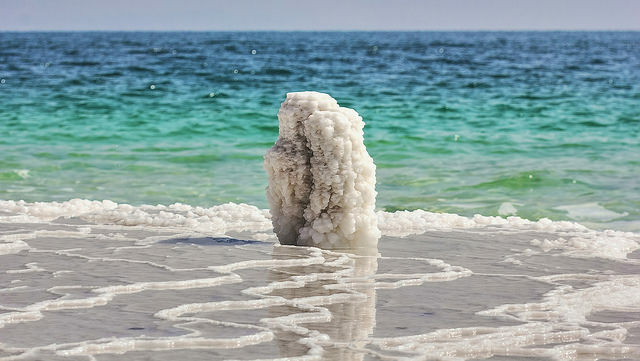 Seacret claims that their products have the best ingredients from the Dead Sea, Israel. They were extremely successful and soon set their sights higher. The founder duo are native Israelis, where beauty products containing Dead Sea ingredients are sold in abundance. They decided to bring those products to America and start selling them in kiosks since there were no others like it being sold and they could corner the market. Business flourished and soon enough they saved enough money to have their own unique products formulated and packaged. The mall kiosks and sales were growing exponentially when the brothers found themselves at a crossroads of what to do next. Either create new dedicated brick and mortar stores or turn their project into a direct sales business. They chose the latter and that is when they exploded, seemingly overnight into the behemoth they are now. With more than 40,000 agents worldwide, the seven-year-old company can now boast millions in revenue earned each year. Seacret Products - What Do They Offer? Seacret has quite a large product list, they have over 60 different products for sale on their website. The main draw to the line is Seacret’s claim that they include ingredients sourced straight from the Dead Sea which includes 26 minerals, essential oils and plant extracts. Serums for a range of skin types. Seacret also has a dedicated line just for anti-aging benefits. The haircare line is primarily just shampoos and conditioners, although they do sell a hair mask and a styling clay. They have an entire line geared just towards men with an after-shave balm, a face wash and a moisturizer. Their products are all spa quality and are all paraben free, hypoallergenic and not tested on animals. Seacret has formulated their products to include many different vitamins, minerals, peptides and essential oils. Some of the new Seacret products that were recently listed on their website. They do include fragrances and other manmade chemicals, they do not claim that their products are 100 percent natural and they are not certified organic. Seacret Compensation Plan – How Does It Work? Seacret's compensation plan is pretty straightforward even tough it has multiple tiers. When you first sign up to be an Agent, you have a choice to purchase the starter kit for $99 comprised of small samples of Dead Sea salt, minerals and mud, or for $49 you do not get the samples but the rest of the kit remains the same. At this point, you need start ordering the products from them to have on hand and either have parties to demonstrate the products or choose your own course of marketing and advertisement. 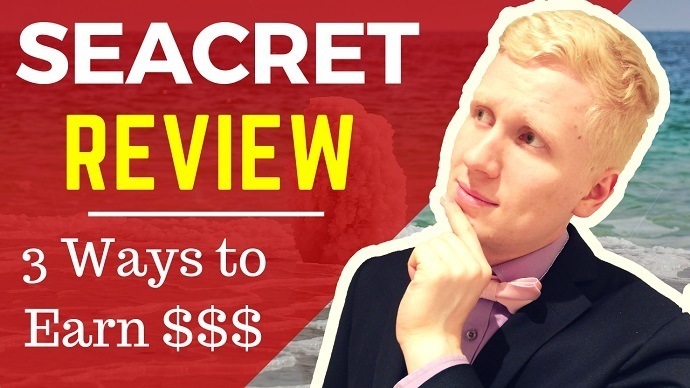 The best way to make money with Seacret is to follow the 4-step formula that I teach you in my Ultimate Make Money Online Guide. The direct sale of the product to customers, face to face. They expect you to advertise the products and host parties with demonstrations and samples of the product line. The cost of the samples is up to the Agent to cover. You also need to purchase product up front to hopefully sell to your clients which drives the starting costs and money initially invested higher. This is what they call a “Preferred Customer Program” which is essentially an auto-ship program where the Agent receives a commission of the products sold residually. Once a customer signs up for monthly deliveries, the Agent receives a portion of each and every one of those sales. This is the most beneficial for the Agent since they are receiving that guaranteed passive income each month. “Team Commissions” where you recruit two new Agents and they recruit two new Agents and so on, and so forth. A commission from all those Agent’s sales comes back to you. If your Agents do well, so do you. You are reaping the benefits of their marketing achievements. The structure is laid out identically to most other multi-level marketing companies that have been around for eons. Where your income potential is based solely on your ability to sell the product and recruit new members to work under you. You are a non-salaried employee with all of your earnings resulting from commissions of products sold by you or your team members. Nowadays the best way to earn commissions is to leverage the power of the Internet. There are +4 BILLION people worldwide online searching for the best products to buy so if you know what you are doing, you can make a huge income. How to Make Money with Seacret? Product Sales => You earn commissions. Team Sales (=sales from your referrals) => You earn commissions. Bonuses when you recruit lots of members and make tons of sales. To make money with Seacret, you need to sell their products and a lot of them. They have a massive product line, but everything is quite expensive, so this might not be an easy feat. Selling a customer on the “Preferred Customer Program” is going to be the most beneficial since the agent receives a commission on those sales each and every time the customer receives an item in the future. You also need to recruit new Agents to work under you. This is where marketing yourself is going to come into play. You need to convince other people to follow you and have them in turn, convince other people to follow them. As the team leader, you earn a commission on everything your Agents and their Agents sell as well. Secret also gives out monetary bonuses to high sales earners. There are individual and team bonuses. There are fourteen personal sales tiers that deliver a monetary bonus with each ascension and they offer a bonus to you and your team if any of your recruited Agents perform well. They offer some pretty large bonuses to the best of the best. The highest and most likely least attainable is the one time bonus of one million dollars to the Agent that ascends to the rank of Crown Royale. Learn The 4-Step Formula To Make More Money with Seacret! Before joining a company or a business opportunity, it's worthwhile taking a look at the reviews from the previous employees. They usually reveal something important about the company and its policies. 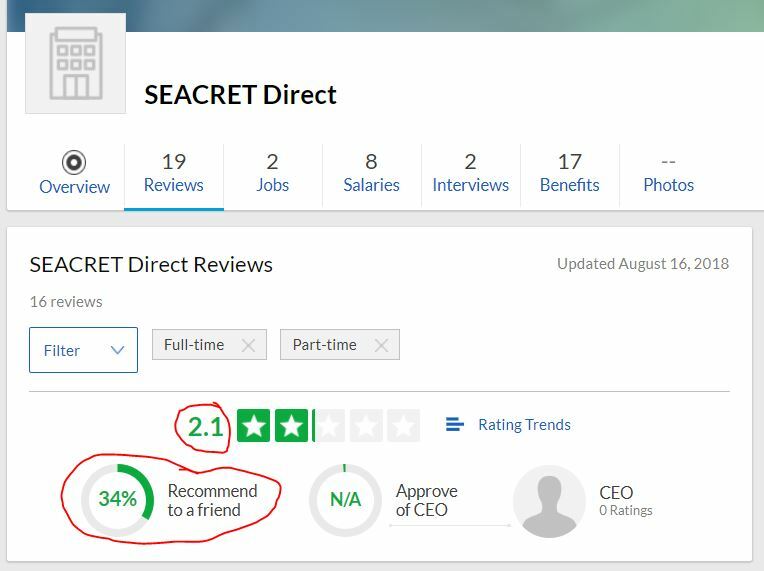 ​​​​​Seacret Direct has pretty low ratings on Glassdoor. Only 2,1 stars out of 5. To be honest, Seacret reviews on Glassdoor don't look very promising. There are complaints of huge turn-around of employees due to a lack of fair treatment from upper-management. The common theme from employees seems to be a lack of structure or know-how coming from management. There are some pretty nasty things being said about the treatment of hourly employees from the founders. There are complaints of verbal abuse and a general all-around demotivating environment. After reviewing more than 100 multi-level marketing companies, I have noticed that the lack of support and guidance is one of the most common complaints. I completely understand that. It can be extremely challenging to everything by yourself without a proper guidance. That's why I currently provide you and anybody who wants to make more money online my 1-on-1 support and mentoring. I have had a mentor when I got started and I saw the value. Now it's time for me to "pay back" and help you to learn the same skills that I learned to make BIG money online. Learn more here. There are a few complaints from customers on the Better Business Bureau website, mostly from missing products or less than honest salespeople. The company does have an A+ rating with the BBB even though it is not accredited. Customer service through the company does seem to be highly regarded. Consumer Affairs has mixed reviews from Seacret products. Some say the skincare line is all it claims to be and others have had unpleasant reactions. Most of the complaints on Consumer Affairs seem to be again, about the salespersons. Read My Ultimate Make Money Online Guide to Get Started Today. Learn the PROVEN 4 Steps to Make Money Online! Just like any MLM business, there are pros and cons to weigh before you decide to join. The products are high quality and seem to be extremely popular. Natural skincare with exotic ingredients is in high demand. It is possible to make good money selling Seacret; if you have exceptional sales and marketing skills and the ability to recruit other people. The idea of selling a product that someone else has manufactured and has already built a massive, positive reputation from is ideal for many. Not having to create and grow your own brand from scratch is a much easier way to break ground in the retail sales world. Since you are not selling your own product, there is no need to worry about the cost of warehousing thousands of different items. You also do not have the general expenses associated with operating a large-scale manufacturing plant. The feasibility of creating a strong residual income is very attractive. If you are able to grow a powerful customer base and a team of Agents, you could potentially have guaranteed income in place and not have to agonize over acquiring new customers constantly. The products are overpriced even though they seem to be of high quality. It’s not going to be easy selling large quantities of high dollar items to the average person. Even with the Agent pricing, a bar of soap is $20 and anything in their age-defying line is an outrageous $249. There are plenty of other high-quality skin-care companies with excellent ingredients that come with a much lower price tag. On the other hand, a high price is not a problem if you know what you are doing and you follow my step-by-step guidance. There's a steep learning curve to starting your own business. This will take some time to set up and perfect before any real money will be made. It may be necessary to continue your original source of income while building up this new endeavor, which might be an inordinately large amount of work for some. The lack of happiness and longevity among corporate employees should sound alarm bells to any person thinking about going into business with this company. If they can not keep their salaried employees content then the treatment of an independent salesperson might be unfavorable as well. There's also the issue of market saturation. Most MLM companies are selling generally the same products to generally the same demographic: women. Skincare and makeup direct sale companies have been around for a very long time and are permeated in almost every market. Once you convince your close group of family and friends to become customers you're going to need to branch out to strangers or rely on your recruited Agents for income, who are most likely in your friends' circle already which will drastically reduce your reach. However, there is also a better way to sell Seacret products and opportunity than doing it face-to-face. Follow my simple step-by-step instructions here to learn how you can make BIG money by selling ANY products online without any hard selling. Is Seacret a Pyramid Scheme? A pyramid scheme is defined as an illegal investment scam where a person recruits two or more people who then recruit two or more people, etc. with the promise that any funds entrusted into the scheme will be passed up the ladder to the original participant. In a pyramid scheme, there are usually no goods, products or services changing hands, just money being promised to investors coming from subsequent investors. Using that definition as guidance: no, Seacret is not a pyramid scheme. It is a legitimate business opportunity whereas the benefit comes not only in the form of direct sales but also in the recruitment of more salesmen. The possibility of making a good income working for Seacret exists, but the chances of that type of success is very low unless you know what you should do to succeed. To be the most successful though, your web of team members and customers needs to be consistently growing. Since the focus of Seacret is on selling the skincare products and not solely on the recruitment of more members, it is not a pyramid scheme wholly. It is possible to garner an income from just the sales of their products even though they do incentivize recruitment. The start-up costs for Seacret are not outrageous but you do need to have initial funds for the start-up kit and also need to purchase product yourself that you may or may not get stuck with if you can not move it. Investing your money in something that has a high potential of failing might not be an intelligent option for some people. Much better opportunities exist and this one is not highly recommended. Conclusion - Is Seacret Worth It? In my opinion, answer to this question eventually lies in whether or not you like their products. If you feel that their products are great, you can certainly join their business opportunity and make tons of money. Personally, I think that their products are quite overpriced and that there are better alternatives available. Another thing to consider before joining is whether or not you want to dedicate the next years in the health & wellness industry selling body care products. Succeeding with Seacret will take lots of time and effort so it's recommended that you love what you are doing. 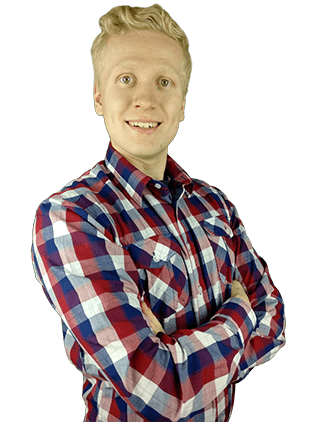 I make my living online with affiliate marketing by selling and promoting whatever products I want. I've already had some success and I've been able to travel around the world and achieve a financial freedom. Making money online with affiliate marketing has enabled me to travel around the world and it can enable you as well! 🙂 Read My Ultimate Guide To Get Started. Currently, I am also educating other people to achieve the same that I achieved. When I meet new people, I constantly hear them saying, "Wow, Robert! You are living a dream lifestyle. I would like to achieve that also." That's why I have decided to dedicate my time to helping YOU and anyone who wants to have a financial freedom by making money online. I've already helped +3,258 people to get started and I'd love to help you as well. Start Making Money Online With My 1-On-1 Support! Now I have shared my thoughts and opinions and I would love to hear from you. What kind of experiences do you have with Seacret and other similar MLM-companies? Would you like to make money online with my support? Do you think that Seacret products are reasonably priced or too expensive? I want to make sure that you start earning money online if that's your goal. I've helped +3,000 individuals to get started and I'm excited to help YOU as well. Read My Ultimate Make Money Online Guide Here!